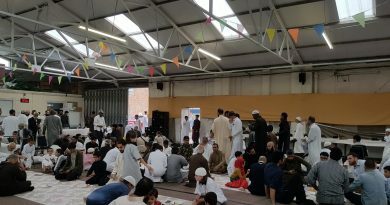 Established since 1995, Masjid At-Taqwa has been set up by the local community in Leicester, UK, to serve the people locally and nationally through religious and social services. Read more.. It is proud to have created a place of warmth, reflection and tranquility, and teaches the importance of tolerance and goodwill towards our neighbours and the local establishment. Masjid At-Taqwa welcomes all through its doors and invites everyone to the worship of One God. Read more about who we are…. Please feel free to browse through our website to find information, such as our regular Sisters Activities, and knowledge gems in our Multimedia, including Lectures and Khutbahs that are uploaded regularly. Jumu’ah Khutbah: 1:15 PM Salah: 1:35 PM.